Maybe I'm completely missing something, or maybe it's just Safari or something... but I can't seem to find a way to add another site to my installation—it seems like it just lets me add one initial site, and that's it. I was excited to start using Fathom, but if I'm going to have to maintain an instance for all of my smaller sites I don't think I have the stomach for that. 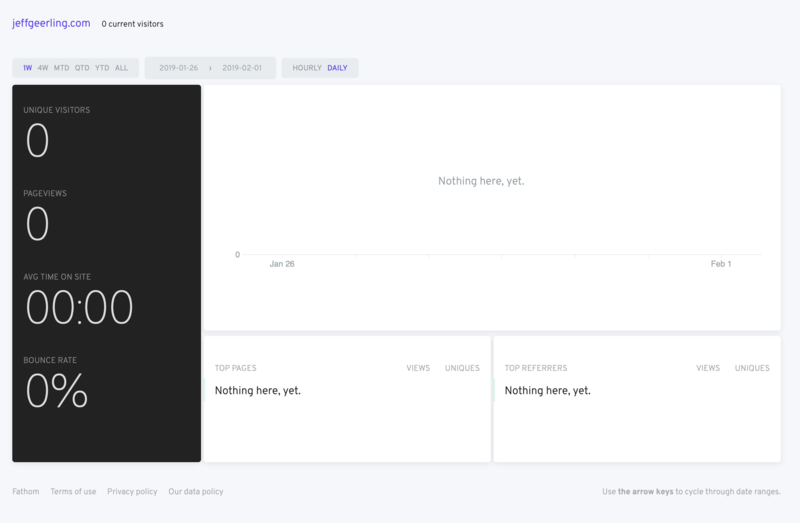 The UI to manage your sites is only visible if your dashboard is not public. For the purposes of someone tinkering with this project to see if it's something they'd like to use, I would suggest either (a) making it so the UI for multiple sites can show for non-authed users, or (b) adding a note somewhere in the documentation about how creating a user account is necessary for tracking more than one domain. As such, I'd like to leave this ticket open in case that work may be done, but please feel free to close it as it doesn't seem to be an actual bug (just a 'works as designed' type thing). Thanks for the write up @geerlingguy. The limitations for a non-authenticated user is a done on purpose, because in most cases the user will be securing their analytics and should create an admin user. With your second point, you are right, I've modified the docs.